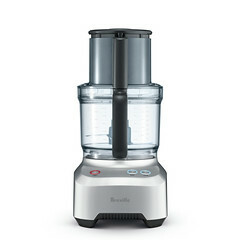 The Breville® Sous Chef™ 12 – - The Sous Chef™ 12 combines the speed of a food processor with the precision of a chef. 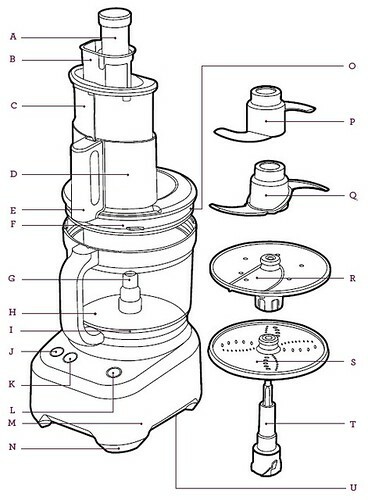 The Sous Chef 12 product features a bowl capacity of 12 cups dry ingredient and 8½ cups liquid ingredients. It even features a pause button for maximum control. It’s everything you need, even if you didn’t know you needed it. Precision and consistency, after all, make perfect. O. Silicone Seal. P. Dough Blade. Q. Micro-Serrated S-Blade™. R. Fine and Coarse Reversible Shredder. S. Adjustable Slicer. T. Spindle. U. Under-Base Cord Storage allows the Cord to be pushed into the Base.